Oh I needed this today! A friend criticized the Christian ending to my book and lambasted Christians in all sorts of ways (for being full of faults and being hypocritical…). Well yeah…after all we are humans too. There is nothing like being loved by God! Our Heavenly Father’s love is wonderful. 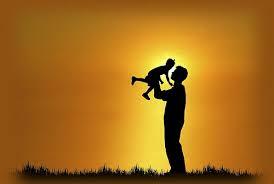 What a great illustration with your father’s love. Praise God for his love! You’re welcome!